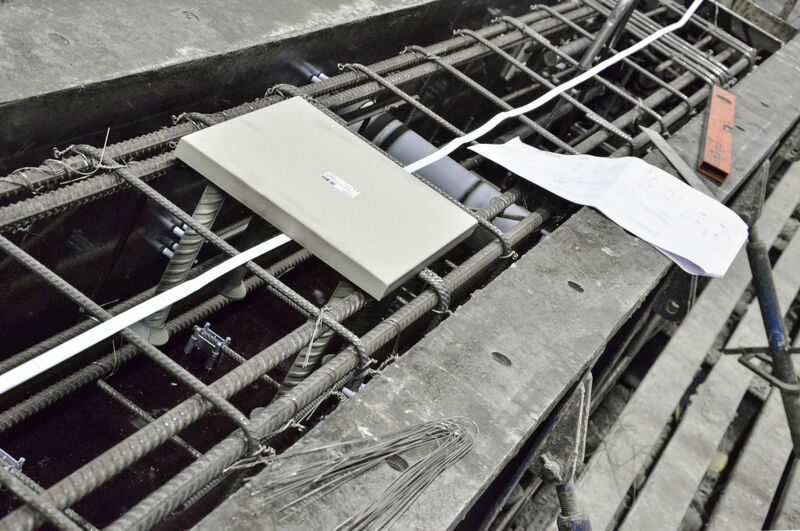 WELDA® Strong Anchor Plates are especially suitable for heavy industrial constructions. 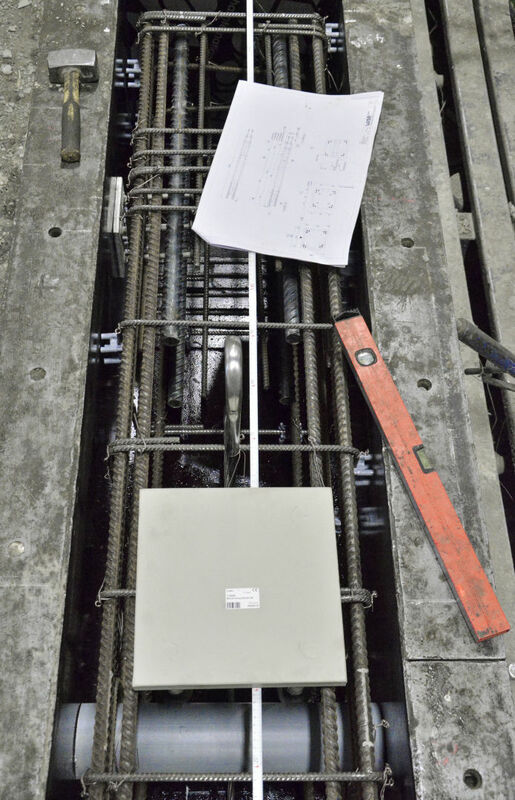 The stud-headed rebar anchors enable structural connections also to thinner concrete structures. WELDA® Strong is also available with extra-long anchors to avoid the need of supplementary reinforcement. Standard WELDA® Strong Anchor Plates come in various sizes, from 150 mm x 150 mm up to 600 mm x 600 mm, covering all standard fastening needs. 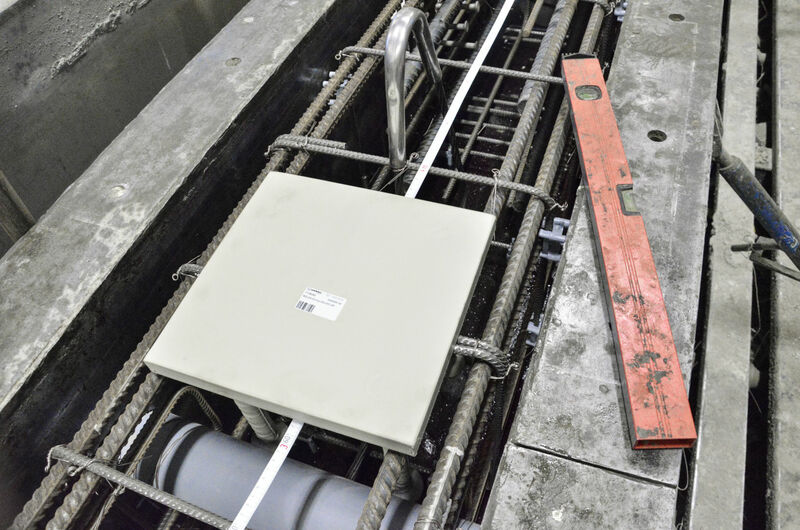 Plate thickness varies from 25 mm to 30 mm, making the effective product depth range from 220 mm up to 435 mm. 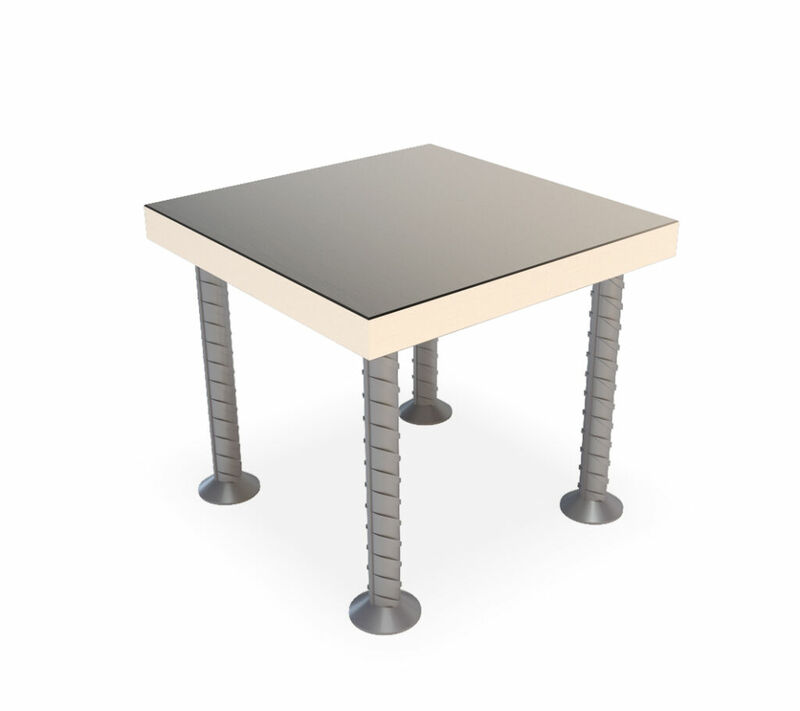 Plates and studs are available in various material combinations. 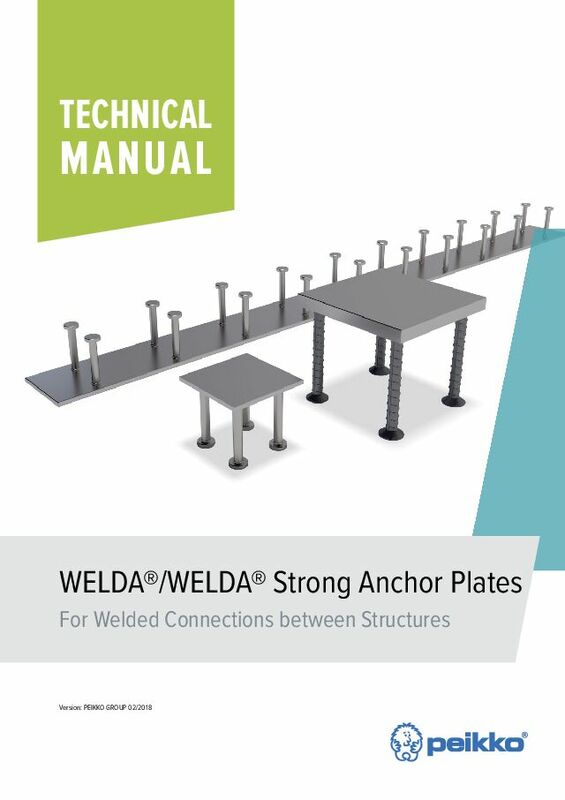 To fulfil customer specific needs, dimensions and shapes of WELDA® Strong Anchor Plates can be modified. On request, the plate can also be machined, e.g. drilling of nail holes, and other components, e.g. shear dowels, can be welded to the plate. 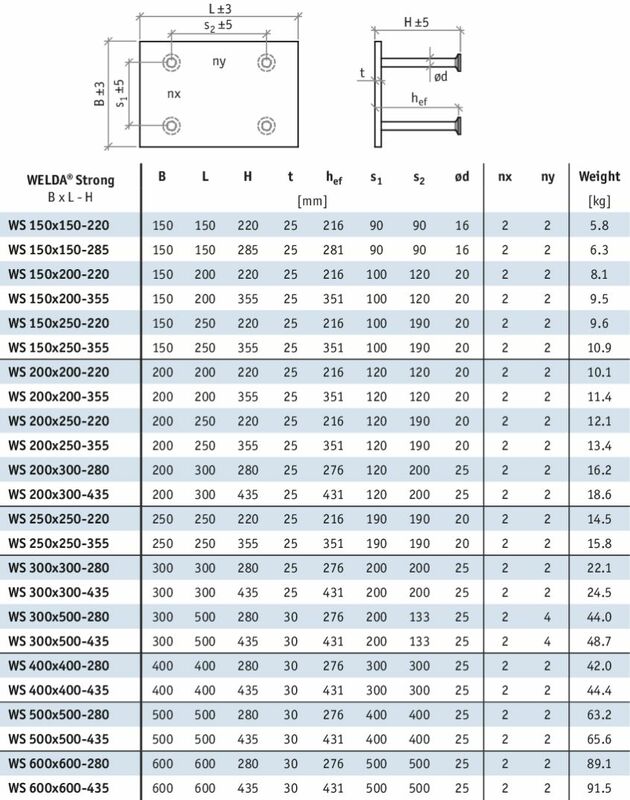 Contact us for an offer for modified WELDA® Strong Anchor Plates. All WELDA® Strong Anchor Plates are CE marked based on ETA-16/0430 and they fulfil all essential demands set for anchor plates. 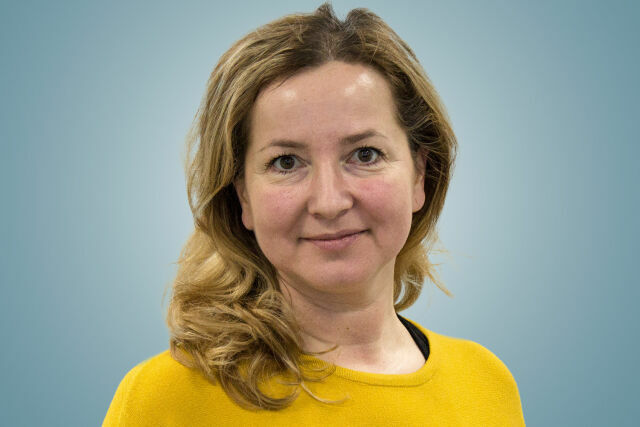 ETA is the only way to specify product performance and proper behaviour in construction throughout the product lifecycle. 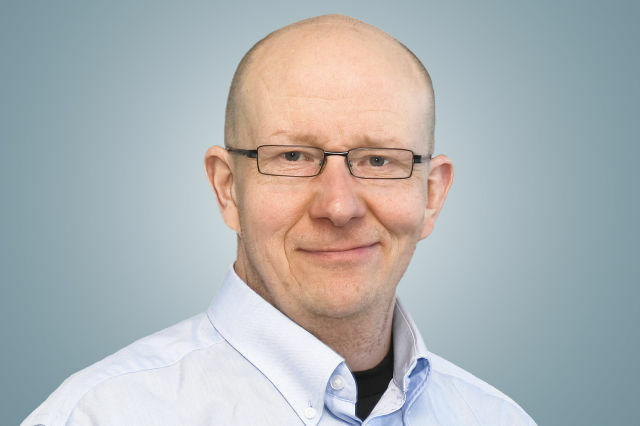 Peikko is the only company in the industry that can deliver CE marked anchor plates based on ETA.